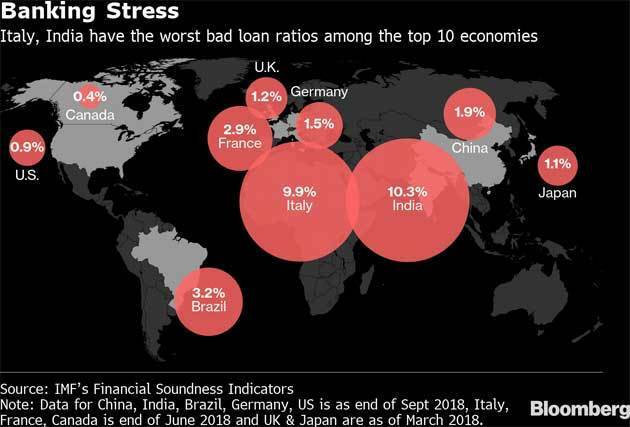 Deutsche Bank AG is setting up a unit in Indiato buy and reorganize soured debt as it seeks to profit from an unprecedented bad-loan clean up in the nation with one of the world’s worst non-performing loan ratios, people familiar with the matter said. 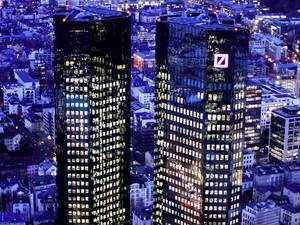 The German bank felt the need to have its own asset reconstruction company to buy and reorganize non-performing credit as current Indian rules restrict overseas investors from buying soured loans directly from lenders in the country, the people said, asking not be identified as the information isn’t public. Bank of America Corp. is also considering setting up a similar unit, other people familiar with the matter said. A spokesman for Deutsche Bank declined to comment while a representative for BofAdidn’t immediately respond to an email seeking comment. BofA is yet to make a final decision on setting up an ARC and may choose not to go ahead with the plan, the people said. Overseas investors including Blackstone Group LP and SSG Capital Management Ltd. have bought into existing ARCs, while others like Bank of America and SC Lowy have structured deals through such firms by paying them a fee.